Pura Vida. The words roll off the tongues of locals and expats and embroider souvenirs across Costa Rica. The “pure life” is not only a greeting, but a mantra to the people who congregate in the country’s beaches and jungles. When I first heard it, I cringed. I assumed they meant “go slow and relax,” I thought they were telling me to get on board with “island time,” and that this motto was created by and for a land of surfers and yogis. For two weeks, I secretly rolled my eyes when conversations would begin and end with these words. It came from servers at restaurants, our river rafting guide, friends greeting one another on the street, and expats eating organically at an ecolodge. I couldn’t help but feel like I had stumbled into a world of self-righteous travelers and locals all united under the laid-back guise of purity. Then last night, over a glass of wine, I confessed this notion to an expat in an ecolodge over an organic and locally sourced vegetarian curry dish. She explained that in her interpretation, “the pure life” isn’t just about getting intoxicated on the beach, or taking nature walks and doing yoga, between catching waves and avoiding responsibility and work. To her, it is about being true to yourself. So if you are a surfer, an artist, a mother and a wife, it’s about living in a way where you can balance that lifestyle in harmony. Or as she put it, if you are a workaholic like myself, who spends days in a beach bungalow in the jungle, glued to my electronics, creating content, rather than going on an ecotour, then that’s okay if that’s what makes me happy. I spent the evening discussing philosophies and swapping stories with this artist, until I finally let her words sink in. I realized that I don’t need to fight a constant battle between giving my undivided attention to nature, and appreciating beautiful moments from behind a camera lens or a computer screen. I have created a life where I LOVE my work, and people tend to have a lot of opinions about that. I am by no means getting rich off my passions, but that was never the goal. My dream was to create the freedom to grow my skillset and to inspire others to adventure in sustainable ways. So I carved out a digital space where I can share my explorations, where I can entertain and educate those who want to learn about responsible adventure travel through my vanlife, backpacking, and ecotourism endeavors. I work hard, utilizing every waking hour to accomplish and find creative ways to fund this goal. It is not easy, but I am devoted to the ambiguous journey. 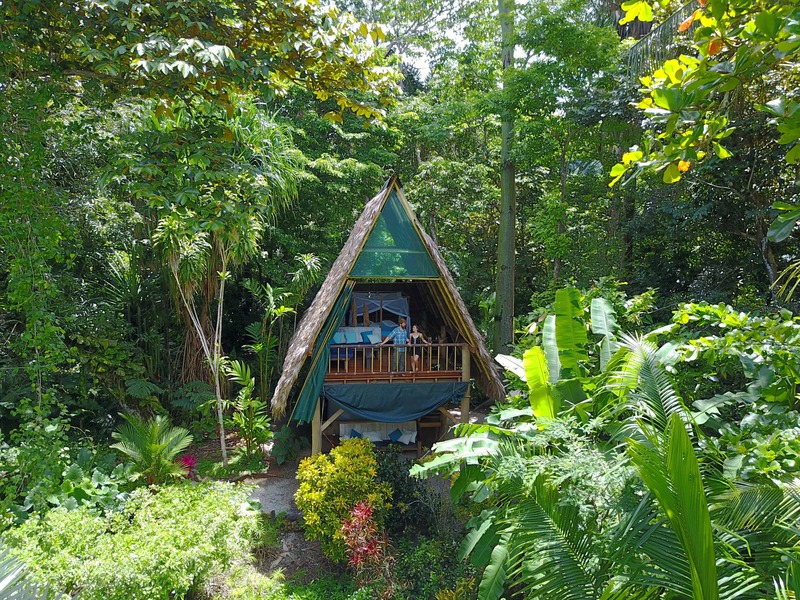 I enjoy being bundled in a bungalow on my laptop, as the rain waters the tree canopy beyond the bamboo railing. I find endless inspiration in the duets performed by the scarlet macaws and howler monkeys just outside this simple sanctuary. And I can enjoy these “pure life” moments while sitting cross-legged on a couch in an ecolodge on the beach. I’ve found clarity in the rhythm of the trees and waves of Costa Rica. I’ve realized with the exception of a few internet trolls on my YouTube channel, I am my own worst critic and biggest obstacle. A year and a half ago, I truly struggled to jump into this life because I was paralyzed by the fear of what ifs. I spent a month deliberating before quitting my job in New York City. My biggest fear was that if I left the security of a salary, that I would get trapped in a vicious cycle of unemployment. That my savings would quickly dwindle, while I was soul-searching, and that I would be evicted from my apartment, until my entire life spiraled out of control. I was doubtful that I could be an entrepreneur, especially one who offered the world ideas and digital content rather than a tangible product. That same afternoon in my breakfast nook of my midtown apartment, my roommate and I booked flights to Japan, plotted out an Asia backpacking trip, and put our apartment up for rent on the internet. Each choice I made, set me free. Until the momentum was propelling me into a life made up of my dreams. 18 months and 15 countries later, I live in a tiny home on wheels that my mom helped me convert into an off-grid adventure mobile. I have been creating travel and adventure lifestyle content and selling inspiration and information along the way. The van lifestyle has granted me the luxury to travel full-time, hone in on and sharpen my skills, cultivate friendships, help my mom run a political campaign, and helped foster the transformation of a platonic relationship into a romance between my boyfriend and I.
It’s even given me the platform and opportunity to press pause on vanlife while my boyfriend and I backpack around Central America working on a documentary project that explores ecotourism and voluntourism. A project that has fed my appetite for international travel, sustainability, volunteering, digital content creation, cultural exchanges, genuine human connections, and adventure. In Belize, we dove with sharks in the Great Blue Hole, learned about permaculture and organic farming methods, and examined the biodiversity in the rainforest. In Guatemala, we volunteered at a Mayan boarding school, where we battled language barriers and experienced a powerful cultural exchange. 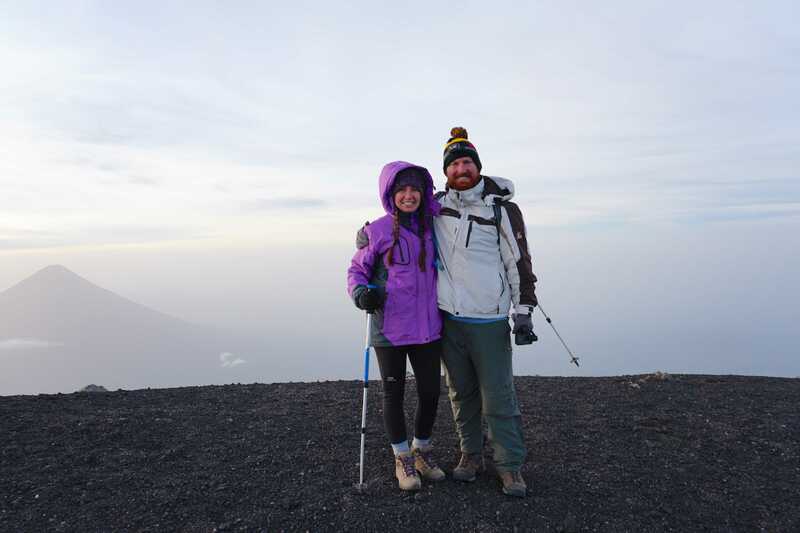 Then we climbed a volcano to promote tourism that brings local guides a livelihood, and we made new friends in Antigua, where we created a website for a hostel. 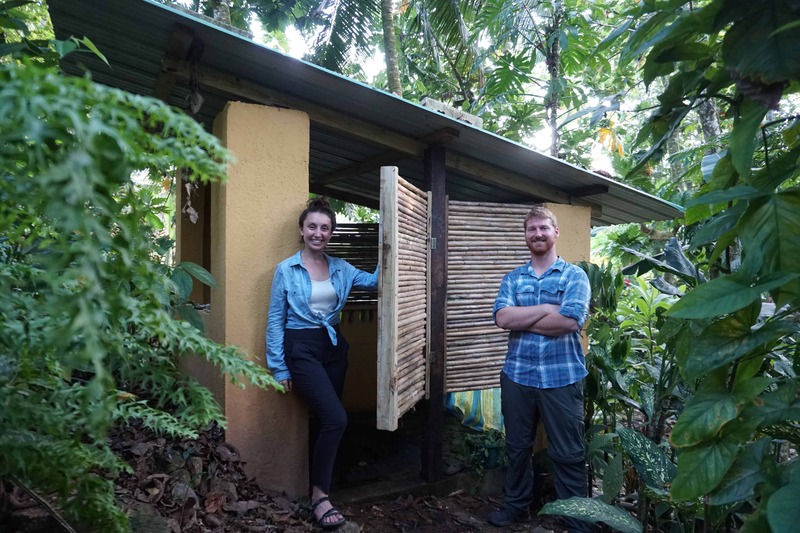 In Costa Rica, we explored beaches, lakes, and volcanic hot springs in a camper van rental, and finished up our research on ecotourism at an ecolodge deeply off the beaten path. Now, these last few months of collecting footage, interviews, and perspective are coming to an end as we sit nestled on locally sewn fabrics, perched in a bungalow built from native plants, overlooking the ocean tides rising. With the conversation of last night fresh in my mind, I asked my boyfriend what Pura Vida means to him. A man who recently purchased a shirt with the words “Pura Vida” across the front, a purchase that made his girlfriend admittedly giggle and roll her eyes. He thought for a moment and then explained that to him, the pure life meant becoming one with the environment so that you can hear the lessons of nature. The lessons that teach us that nothing and no one is perfect, but like the natural world, we are always evolving and adapting, and we should allow ourselves the space to do so. Pura Vida, is a declaration to the world that I will be me, and a simultaneous invitation for you to be you. It is a reminder that nature is a wonderful teacher, and that when we immerse ourselves in it, we can hear those lessons more clearly. And that is a motto I can live by.